The Kevlar® plaited offerings provide you with cut protection at a lower price. The 9363 series features 7 gauge Kevlar® layer outside and a cool and comfortable cotton plaiting inside. 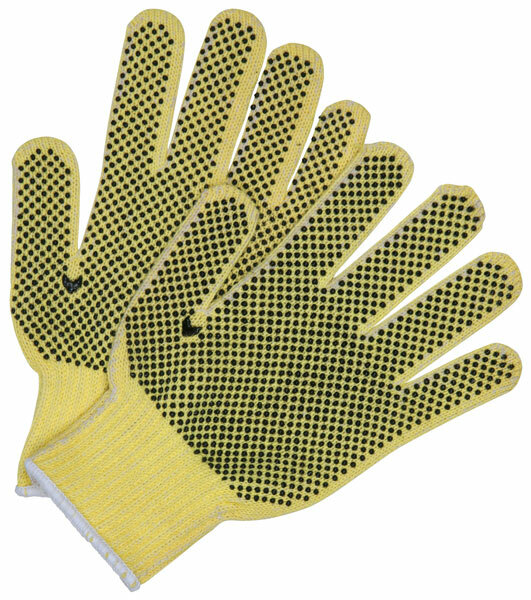 It also featuers PVC dots on both sides for additional abrasion resistance and grip.